Meanwhile, back at the war. 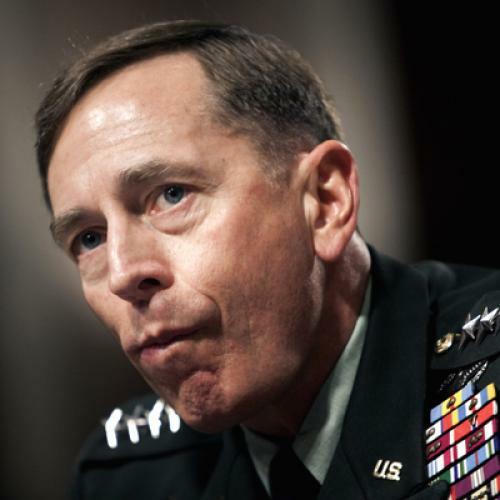 “This is how you end these kinds of insurgencies,” General Petraeus said a few weeks ago, referring to the fact that senior officials of the Taliban had “sought to reach out” to senior officials of the Karzai government in Kabul. Pardon the impudence, but this is four-star spin. His doctrine of counterinsurgency, which is the intellectual foundation of our war in Afghanistan, holds that the war is over when the population, or most of it, has been persuaded by political, economic, and social development, backed by the intense application of force, that their future lies not with the insurgency but with the government that we are, owing to its commitment to such development, protecting. The role of the American military is to create space on the ground, not at the highest levels, for an indigenous process of reform. But the incipient negotiations between the Taliban and the Karzai government—Americans and Europeans have both facilitated the contacts—can hardly answer to such a description. This is not hearts and minds; this is a deal. Nor is it “reconciliation,” except insofar as Kabul and Quetta have reconciled to their shared interest in controlling the post-American era in Afghanistan. Karzai’s commitment to democratization and honest governance is a proven farce; he and his regime, or rather, he and his politically empowered family, care only for influence and enrichment. Mullah Omar in Quetta, rather like Yasir Arafat in Tunis many years ago, is worried that his distance from the scene is making him and his establishment irrelevant, and so he wants a way back in. This is not a history-minded peace; it is a bargain, struck over the heads of the Afghan people, for the survival of the secularly corrupt and the religiously murderous. One hears happy talk about a “younger generation” of “pragmatic” Taliban, but it is little comfort that they are better at calculating their interests, since their interests include theocratic tyranny, which is based on their beliefs. General Petraeus would have us believe that the Taliban are being brought to the table by the success of our campaign, that they are “reaching out” because they feel that they are losing, but I am not persuaded. The military news out of Afghanistan is not exactly breathtaking. It is just as likely that the Taliban are “reaching out” because they feel that they are winning. And who can seriously consider that the Taliban’s participation in a government in Kabul would be anything but the beginning of a Taliban restoration? The Yeatsian nightmare about the best and the worst applies: this is their second coming. This is their pragmatism. It is also the consequence of President Obama’s date certain for the end of our military presence in Afghanistan. The president’s calendar undid the general’s concept. Hearts and minds take time, and time is what the president was not prepared to give. For this reason, we have been incoherent. But not anymore: the objective of our policy is to be out by next summer, so we welcome the deal. This is expedience, not the high principle with which we have justified the war. The administration is right that there is no military solution in Afghanistan. But a union of Karzai and the Taliban is hardly the political solution for which we have been struggling. It is an abandonment of Afghanistan. But is this so awful, I mean from the standpoint of the United States? Here things get nastily complicated, and no moral satisfaction is any longer to be had. We are in Afghanistan, we have been there for almost a decade, for the sake of our safety—to destroy Al Qaeda and the other terrorist groups that are planning violence against us. The overthrow of the Taliban was the ennobling corollary of a security policy; it was collateral humanitarianism. But why cling to the corollary when the central premise is no longer valid? Everybody agrees that the threat to our security no longer emanates from Afghanistan. Our war drove our enemies into Pakistan, which is unwilling to regard them as its enemies. They have a new haven across the border. So we have been carrying our war there, and by means of drones conducting a new kind of cross-border bombing campaign, and a vicious one. Where does this leave the rationale for our presence in Afghanistan? The humanitarianism is all that remains of it. If the World Trade Center were still standing, would I support an American invasion of Afghanistan to liberate its people from the Taliban? I am not so sure. But perhaps the secondary rationale for our invasion of Afghanistan should now become its primary rationale, as it did in Iraq. When it was discovered that there were no weapons of mass destruction in Iraq—that President Bush took the United States into a major war on the basis of a mistake—our goal in Iraq became its democratization. Some people adopted the new goal cynically, others with integrity. Why not, then, do the same—I mean the integrity part—in post - Al Qaeda Afghanistan? It is sickening to contemplate the prospect of a Taliban restoration, and of our complicity in it. Should our revulsion justify our war? This brings us to the question of the historical agency of the Afghan people, and to some unhappy reflections on democratization. Democracy is a universal value, or it is no value at all; everyone has a right to be free. Since the love of democracy is a global emotion, it sometimes breeds a certain indifference to the local. Democracy is not everywhere immediately possible because it is everywhere immediately desirable. (This does not mean that the cause should anywhere be renounced by us, only that it should be pursued differently, patiently, with empirical wisdom.) Considered from the standpoint of democratization, Afghanistan is nowhere as promising as Iraq, which still poses its own challenges. Its neglect by Bush notwithstanding, is what we see in Afghanistan really all that the Afghans could have done with, and for, themselves in a decade? What hope is there for liberal ideas and practices in this hardened kingdom of Pashtunwali and sharia? What if it cannot be done? Democratizers must be allowed to think such a thought, or else they are mere dreamers. Anyway, our time there is running out. We will be “drawing down.” Even if democracy were a sufficient reason for us to stay, we will not stay. The players are taking the play into their own hands, in their way, with our approval. Our business is now in Pakistan. Which is to say, we may soon miss Afghanistan.